The Honda timing belt replacement interval is very important. 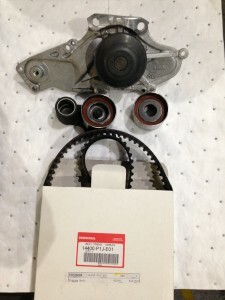 While many late model Honda and Acura vehicles now use a timing chain instead of a Honda timing belt, the Honda and Acura vehicles that are equipped with a V6 engine still utilize a Honda timing belt. Honda and Acura vehicles that use a Honda timing belt have a recommended replacement interval in the maintenance schedule. Under normal circumstances, the Honda timing belt replacement interval is recommended every 7 years or 105,000 miles (whichever occurs first). If you have a Honda or Acura vehicle that utilizes a timing chain instead of a Honda timing belt, then your vehicle does not have a timing chain replacement interval. However, consider that a timing belt does not require engine oil to lubricate it, the timing chain does. If you own a Honda or Acura vehicle that has a timing chain instead of a Honda timing belt and you do not keep your oil changed properly, you will be replacing timing chain components, and they are very expensive. At Accurate Automotive, our service facility has had some vehicles that needed timing chain component replacement and the one thing that was consistent was oil sludge. It is obvious that the Honda and Acura vehicles that have been in our service department, that had timing chain component failure, did not have the engine oil changed in them regularly. On Honda and Acura vehicles that utilize a timing belt, Accurate Automotive recommends replacement of the timing belt, water pump, timing belt tensioner and accessory drive belts as one complete package. There are several reasons for this recommendation. First, the accessory drive belt and timing belt tensioner have to be removed to replace the timing belt and the timing belt drives the water pump. Second, the timing belt tensioners have been known to start ‘chattering’ in cold weather, which can result in the timing belt loosening up and jumping time This can cause major engine damage. The third reason for the recommendation of additional parts replacement with the timing belt is due to the long interval between the timing belt replacement, 105,000 miles. If the water pump is not replaced during the timing belt replacement interval and then fails before the next timing belt replacement, then all of those components must removed from the engine prematurely, between the Honda timing belt replacement intervals. 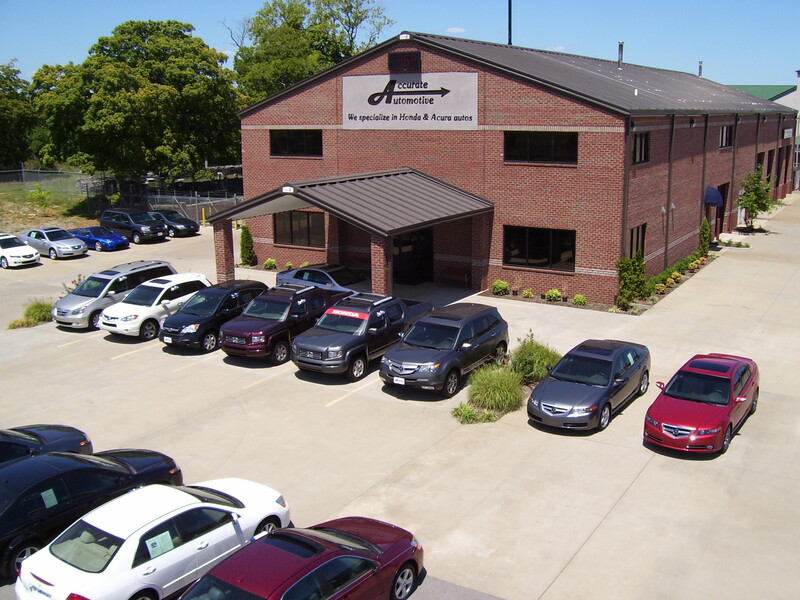 Come in and see why Accurate Automotive is the best place in Nashville and middle Tennessee to service, repair and maintain your Honda and Acura automobiles. Accurate Automotive is a shop in middle Tennessee that is dedicated to the service and owner satisfaction of Honda and Acura car drivers in Nashville, Tennessee and areas around Middle TN. 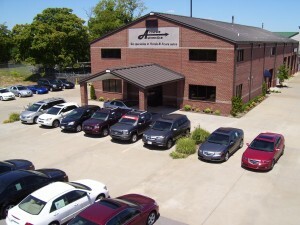 Since 1997, Accurate Automotive has been serving middle TN Honda and Acura car owners living in Nashville, Brentwood, Cool Springs, Franklin, Hermitage, Murfreesboro, Smyrna and other areas surrounding Nashville. Copyright © 2012 Accurate Automotive Repair. All rights reserved.